Apple’s iCloud Photo Library allows you to store the images you keep in the Photos app on its servers and view them on any device linked to your iCloud account. This has two main advantages. The first is that it saves space on your Mac — instead of having full resolution versions of every photo stored on your startup drive, you have lower-resolution previews. The high resolution originals are stored in iCloud and only downloaded when you need them — for example, when you want to edit them. The second advantage is that there’s no need to sync your photos with your other devices. When they’re stored in iCloud, they automatically become available on Mac, iPhones, iPad, Apple TV, and Apple Watch, as long as those devices are signed into your AppleID and have iCloud Photos switched on. There are several reasons, however, that you might want to delete photos from iCloud. High resolution photos take up a lot of space and if you use iCloud Photo Library it won’t be long before you hit the maximum storage for a free account. You will then either have to delete photos or pay for an upgrade. You may have photos that you no longer want anyone to see. Some photos may be duplicates, or almost duplicates, of others. 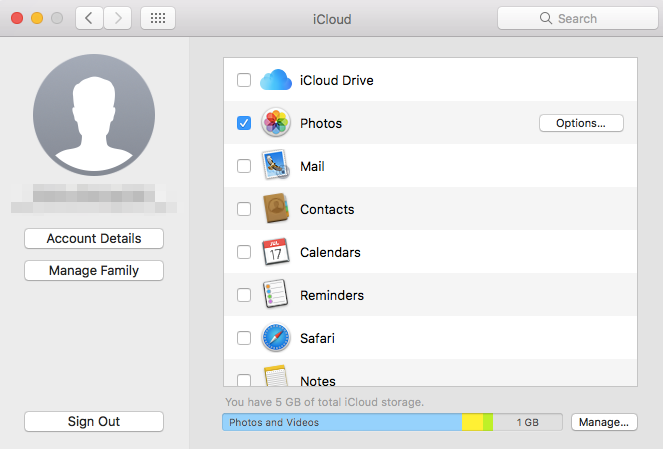 Whatever your reason for deleting photos from iCloud, here’s how to do it. If the reason you want to delete photos from iCloud library is that they are taking up too much space on your Mac, you should try using CleanMyMac X to optimize your photo library first. CleanMyMac has a Photo Junk removal tool that removes files that your Mac doesn’t need. These include cache files for the Faces features, general cache files, and copies of files stored in iCloud. In macOS 10.12 and earlier, it can also remove RAW versions of photos. 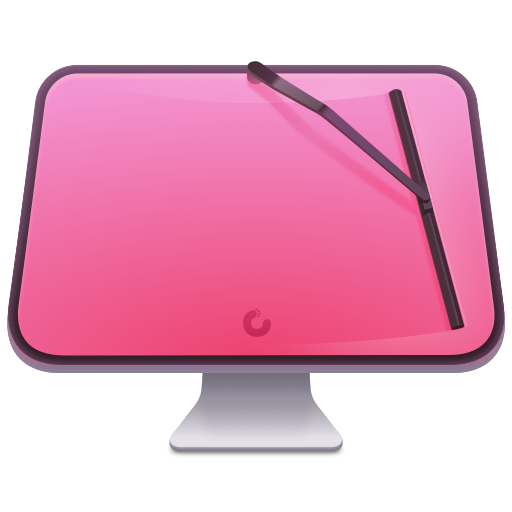 Launch CleanMyMac from your Mac’s Applications folder. When the scan is finished, click Review Details to see what CleanMyMac has found. Click Photos under Library in the left-hand sidebar. If you want to delete more than one photo, hold down the Command key and select the others. When you’ve selected all the photos you want to delete, press the delete key on the keyboard. Select “Delete” in the window that opens. The photos you selected won’t be deleted immediately. Instead, they’re moved to an album called “Recently Deleted”. They will remain there for 30 days and then they’ll be deleted permanently. In the meantime, I you want to recover them, click on the Recently Deleted, then right-click or Control-click on the photo you want to recover and choose Recover. Alternatively, if you don’t want to wait 30 days, go to the Recently Deleted album, select the photos, right-click and choose Delete x items, where “x” is the number of photos you’ve selected. You can manage your iCloud library from any web browser by logging into icloud.com. 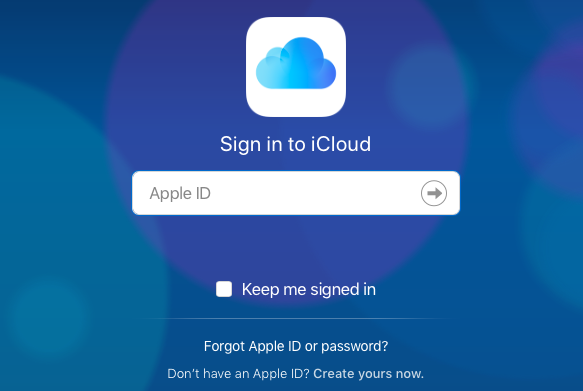 Navigate to icloud.com and sign in with your Apple ID. Click on the Photos app. Choose a photo you want to delete and click on it. To select more, hold down the Command key and click on them. Click in the trash can in the toolbar at the top of the photos window. As with the other methods of deleting photos, the images you selected will now be put in the Recently Deleted album on all your devices. They will stay there for 30 days before being removed permanently. To get rid of them immediately, click on the Recently Deleted album, select the photos and choose “Delete x items”, where “x” is the number of images you selected. If you want to delete all you your photos from iCloud, you can do it from System Preferences on your Mac. However, you should be aware that doing so will mean — if you’ve been using iCloud Photo Library on your other devices — the photos won’t be available to view or edit on your iPhone, iPad or other Apple device. Following this method will also show you how to delete apps from iCloud and how to delete data from iCloud. Uncheck the box next to Photos. You’ll be prompted to download your photos from iCloud. Press Download — otherwise you’ll lose all your photos permanently in 30 days. When your photos have downloaded, press the Manage button at the bottom right of the iCloud pane. Click on Photo Library, then choose Disable and Delete. Once you’ve clicked Disable and Delete, your photos will be deleted from iCloud after 30 days, unless you click Undo. Documents and app data for iOS apps is stored in iCloud Drive and can be viewed on your Mac by clicking iCloud Drive in the Finder (if you can’t see it, go to System Preferences>iCloud and check the box next to iCloud Drive). Click Options next to iCloud Drive in the iCloud pane of System Preferences. Uncheck the box next to the apps whose data you want to delete. When you next use those apps in iOS, any files you created or data for, say, saved games, will no longer be available to the app. Click on iCloud Drive in the Finder sidebar. Navigate to the files you want to delete. Drag the files to the Trash, then empty the Trash. 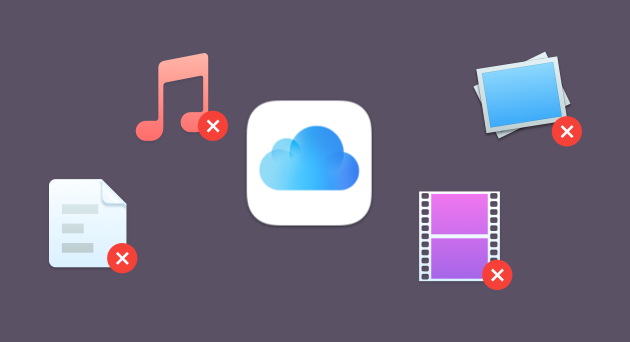 Deleting photos from iCloud is very straightforward, whether you do it on Photos in a Mac, an iOS device, or from iCloud.com. However, hitting “delete” doesn’t remove them straight away. Photos allows you 30 days to change your mind, while giving you the option of removing them immediately and permanently. 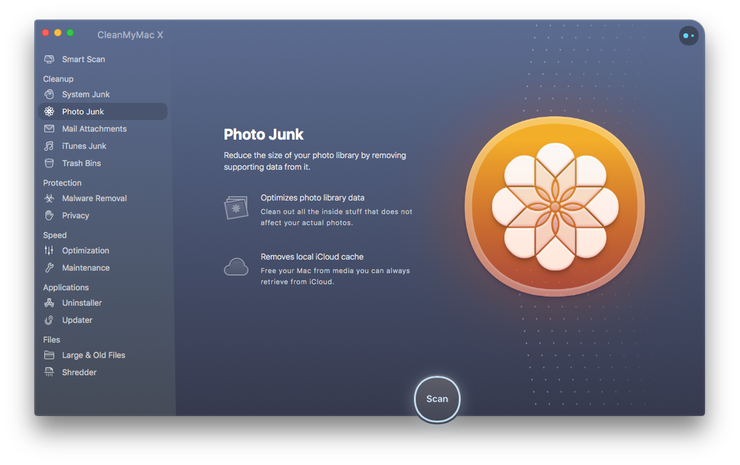 If you want to save space on your Mac as well as iCloud, you should run CleanMyMac’s Photo Junk tool. If you have several hundred photos or more, it could claim back tens of gigabytes of disk space.